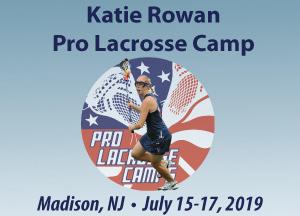 Katie Rowan will be the headliner for our girls camp at Madison High School, Madison NJ this summer. Katie is the all-time leading scorer for Team USA and Syracuse! She is currently the head coach for The University at Albany and The Upstate Pride in the Women’s Professional Lacrosse League. Katie will be the head coach at the camp all 3 days.